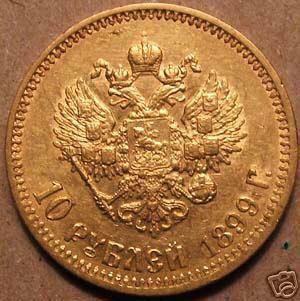 One 1899-10 Roubles gold coin. 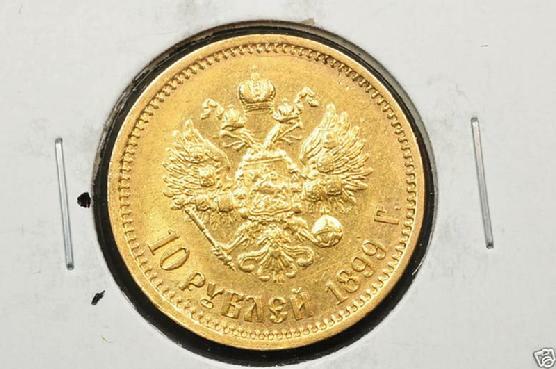 WEIGHT 8.60 gr. 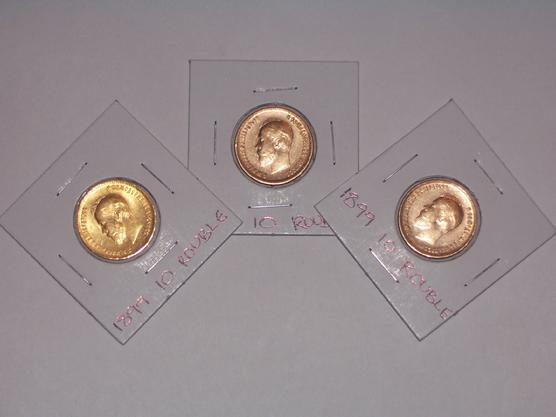 of 900 GOLD OR .2489 AGW. 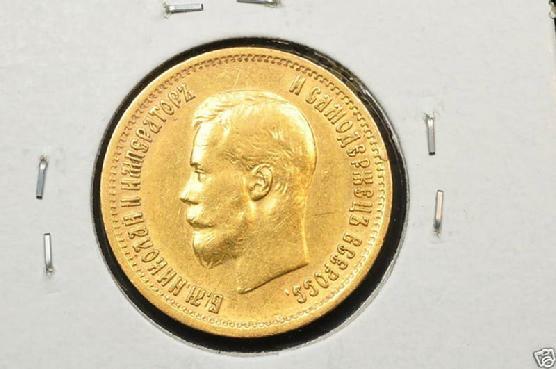 Imperial Russia, NICHOLAS II period. In XF/AU condition (please see images). 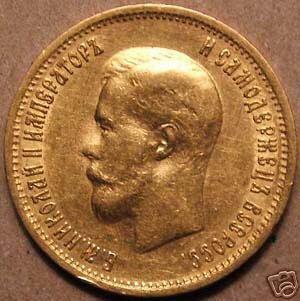 Reverse with Russian coat of arms and on the obverse is the bust of Nicholas II The last Czar of Russia. 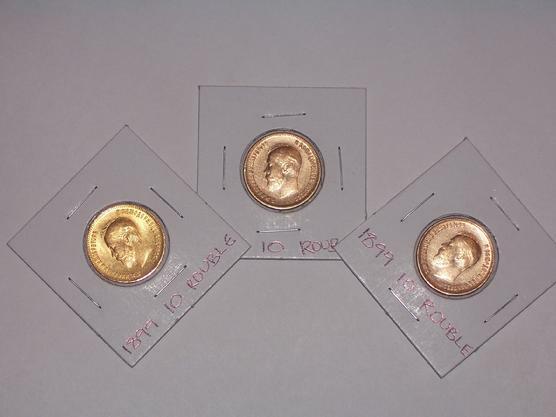 Gold coins and bullion are very desireable in times of economic uncertainty (as well as any other time) as they are an ideal hedge against paper money inflation as well as it is great for investment.